Mobile marketing has different parts making up the whole, and each compliment the other. For example, you may wish to start by adding QR codes to your signage. QR codes are a great way to link customers to your mobile website, get them to opt-in to SMS messages and text coupons, and engage them with extra information to enrich their experience in your restaurant. QR codes are just one part of a mobile marketing strategy, but they aren’t a necessity. Maybe you aren’t sure about QR codes yet, but you do know that you want to gain a mobile presence on the web. This is also a great place to start. Studies show that more and more consumers are going mobile and are using local search apps such as Google to find stores and restaurants close to home. If you have a mobile website these consumers will be able to find you through mobile search, but if you don’t have a website optimized for mobile you are losing business to competitors who do. 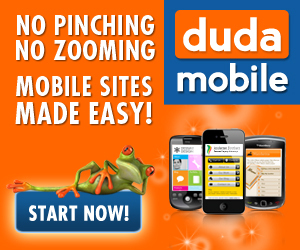 Mobile websites alone can give your business a boost. Once consumers find you, take advantage of that by further engaging and enticing them to do business with you. Make it easy for them to find you by including driving directions to your restaurant. Post your hours on the website. Make sure your menu is included so they know what you serve. Does your restaurant have take-out? Give your customers the ability to order from their smartphone and then pick it up in a few minutes. For any questions that your website doesn’t answer, have a click-to-call button prominently displayed so that potential diners can call you easily. A good companion to a mobile website is a mobile app. Your website should link to the app or make it easy for diners to download. Ideas for restaurant mobile apps are limited only by what you can dream up. One idea is to include a calorie counter or nutrition information app about your menu for calorie conscious diners. Check our our Shoutem Review to learn more about mobile app builders. A restaurant in New York specializing in seafood has an app that explains where their seafood comes from, and has interesting facts about the different kinds they serve. They are engaging their diners with interesting information while they wait. Other family-friendly restaurants have used games and virtual coloring pages to keep kids busy while their orders are prepared. Mobile marketing that utilizes text messages is very effective at enticing diners into your restaurant. Through text messages, you can offer coupons, discounts and other promotions to your diners. Customers must opt-in for you to do this, and one way to get them to opt-in is by using QR codes. When a customer scans your code, you can instantly thank them by sending a coupon for their next visit, and their cell number is stored in your database for future SMS marketing campaigns. Mobile marketing is the future of advertising. Restaurants owners who take advantage of the surge in mobile device usage have the opportunity to grow their business while engaging their customers and keeping them coming through the doors. There are quite a few of mobile marketing services in Las Vegas, but before you decide on a mobile marketing strategy, Sign up for our FREE mobile marketing training below. There is very little doubt that mobile marketing is the new future of marketing as we know it. As a restaurant owner in Las Vegas NV, you need to start to learn more about how these new mobile marketing solutions will help your organization.